This Israel Fans ?Peace? 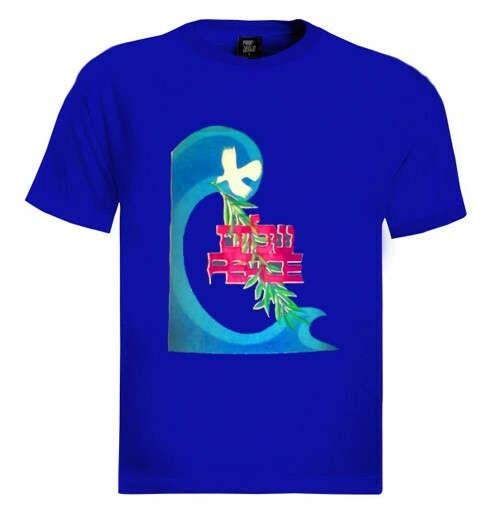 T-Shirt is 100% Combed-Cotton T-shirt with the picture of a white dove holding an olive branch, as a Symbol of Peace and a Hebrew ?shalom? text printed on the front. Our t-shirts are made of 100% cotton and are long lasting with bright colors. Our products are all designed and printed in Israel.